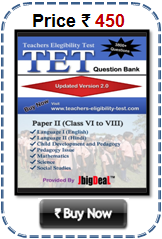 GTET 2019 Gujarat TET ojas.guj.nic.in Gujarat Teachers Eligibility Test (GTET) Exam Date Notification Books | Study Materials Free Question Paper GTET 2019 Paper I and Paper II For Upper Primary (Class VI to VIII) and Lower Primary (Class I to V) Teachers Recruitment Gujarat TET 2019 Questions with Answers Available GTET 2019 Gujarat TET. The Government of Gujarat will conduct Gujarat Teachers Eligibility Test (GTET) 2019 also known as Gujarat TET, as per the formalities laid down by the central regulating authorities. Gujarat TET is for the candidates aspiring to become teachers in primary (class I -V) and upper primary (VI-VIII) schools in the state of Gujarat. Ojas Guj TET 2019 notification will be released by the Department of School Education, Gujarat OR concerned examination board as directed by the Government of Gujarat. 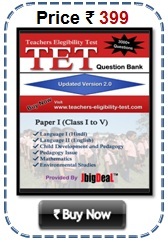 TET is a compulsory examination for all the B.Ed. qualified candidates to be considered for teacher jobs in schools run by the government and private managements. Candidates may be facilitated to apply online for this examination. 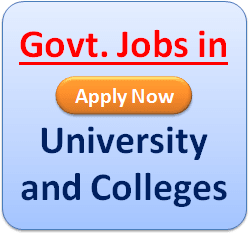 Here are the details of the GTET notification, syllabus, question pattern, eligibility details. Eligibility and Qualifications for Gujarat TET : Candidates should have following qualifications as prescribed by the NCTE. The State governments may change the qualifications and eligibility requirements as per the GOs issued by them. Gujarat TET (Ojas Guj TET) Qualification Teachers of Classes I-V (Paper I) 2019: Candidates should have passed in Senior Secondary (or its equivalent) with at least 45 percent marks. Those appearing in final 2 year Diploma in Elementary Education / 4-year Bachelor of Elementary Education (B.El.Ed.) / 2 – year Diploma in Education in Special Education are also eligible. OR Candidates with BA / B.Sc. with at least 50 percent marks and B.Ed qualification can also apply. Gujarat TET (Ojas Guj TET) Qualification Teachers of Classes VI-VIII (Paper II) 2019 : Applicants having B.A. / B.Sc and those appearing in final 2 year D.Ed. / B.A. /B.Sc. with at least 45 percent marks and passed / appearing in B.Ed / Senior Secondary with at least 50 percent marks and passed or appearing in final 4-year Bachelor in Elementary Education (B.El.Ed) / 4-year BA/ B.Sc.Ed. or B.A. (Ed.)/B.Sc. (Ed.) / B.Ed. (Special Education) with 50 percent in BA or B.Sc are eligible for GTET. Medium of Examination for Gujarat TET-1 exam. Sir I passed my b.com with only43.33% and m.com with 55.10% and b.ed with 76 % can I appear tat exam? Sir can i give the exam of tet 2 more than three times in a 5 year..??? now are eligible to fill forms or not???????????? I have 54% n m.a with 60% should i give this exam? what is the age limit for this test? Mare 44.44% Che to upper primary ma tet ni exam aapi saku? Respected sir/madam,kindly tell me is there any age limit to appear for TET? TET-2 NA FORM KYARE BHARAVA NA 6E ?10-6-15 KEM BHARATA NATHI ? DATE ? TET-2 NA FORM KYARE BHARAVA NA 6E ? 10-6-15 KEM BHARATA NATHI ? DATE ? 2015 ma ptc tet exam na form kai date na bharase? I want to give TAT exam for make a computer Teacher. like Categories,how to apply etc..
Sir me b.ed( sem 1 88%) completed karyu To TET mate a book (paper 2) ne hand to hand Mokla vo 6o ane tyare Rs. Api to chale Ane mare b.ed. what is date for tat exam in computer teacher? Teachers Eligibility Test (TET) 2019 , USA 4.8 5.0 231 231 Medium of Examination for Gujarat TET-1 exam.